A stand alone rotary drum scaling machine. The drum scales remove the fish by tumbling the fish in a metal drum for a fixed amount of time. This batch process is very gentle on the fish. For larger production Pisces has designed an automated delivery and loading system for multiple drum scalers. 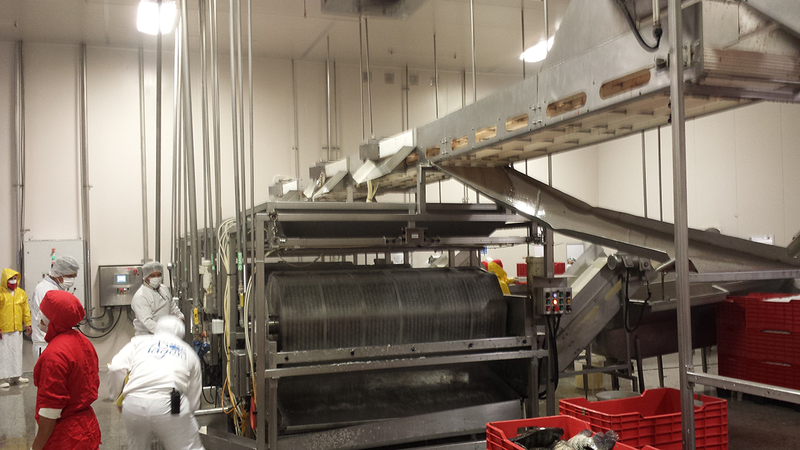 These systems are currently in productions producing over 100 tons of scaled fish a day. The smallest of our Drum scalers, the DS-150 is a manually operated machine with a capacity of 200 lbs (90kg) each cycle. The DS-300 is a manually operated machine with a capacity of 400 lbs (180kg) each cycle. This machine can be fitted drop bottom hopper, in-feed and out feed conveyors to increase its speed and efficiency. The DS-400 is a PLC controlled machine with a capacity of 400 lbs (180kg) each cycle. 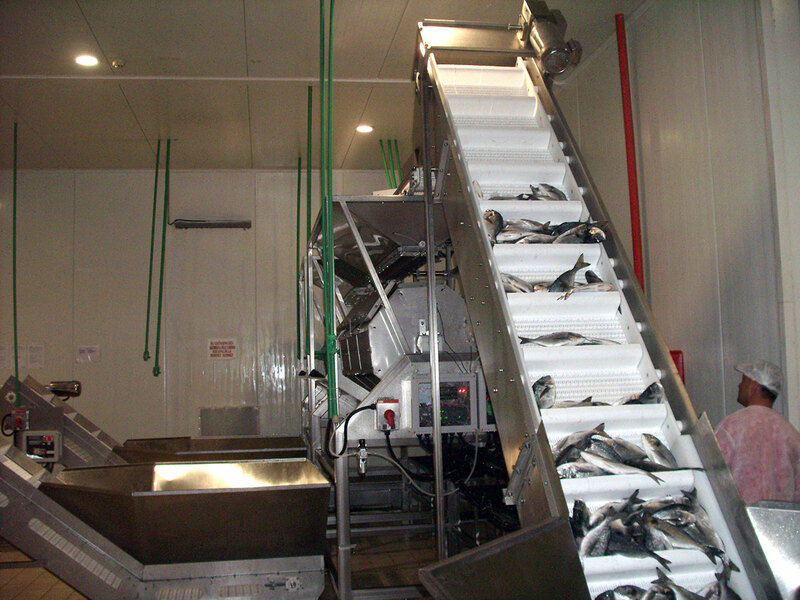 The PLC controls the position of the scaling drum to ensure it is in the correct position to load and unload the fish. 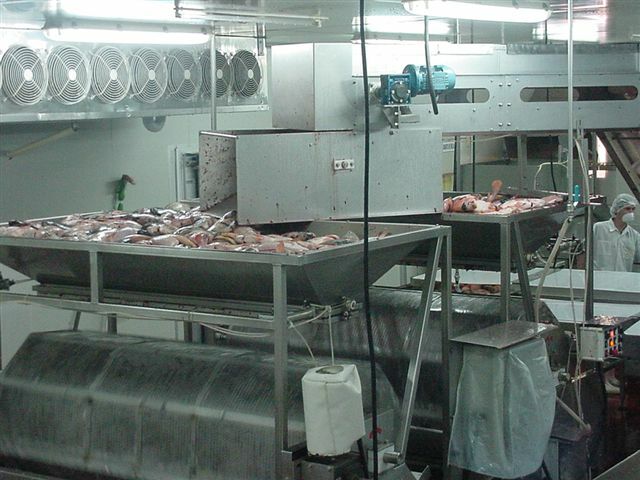 This machine is usually fitted with a drop bottom hopper, in-feed and out feed conveyors. The DS-500 incorporates all of the features of the DS-400 with a weight hopper. The weigh hopper is used to ensure that the optimal amount of fish is in the drum every time. The PLC controls the in-feed conveyor to ensure the hopper is filled to the correct amount. This machine must be purchase with a in-feed conveyor. Stand alone in-line scaling machines. This machine removes the scales using rotating metal scaling heads. The scaling head will damage the eyes and gill plates of the fish. 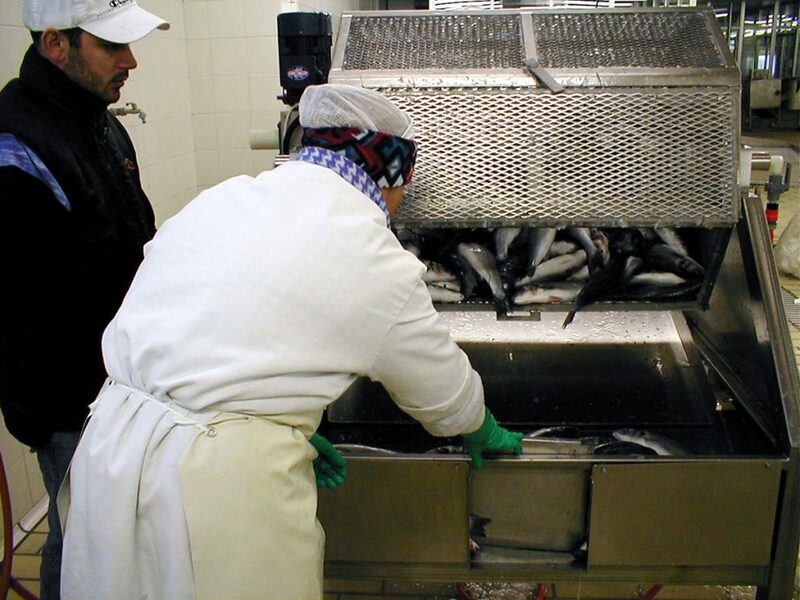 The PSM series scalers are best suited to processing fish for fillets. The scaling process is continues. The PSM scalers are size sensitive and are ordered for a specific size of fish. The PSM-20 is designed to process smaller fish. It is primarily used to scale Lake perch. The PSM-30 is designed for processing larger fish. It is primarily used to scale Pickerel/Walleye and Lake White Fish. Water jet scalers combine the continues process of the PSM type scalers with gentleness of the drum scaler. The water jet scalers are also the most vestal being able to scale multiple sizes and species of fish. 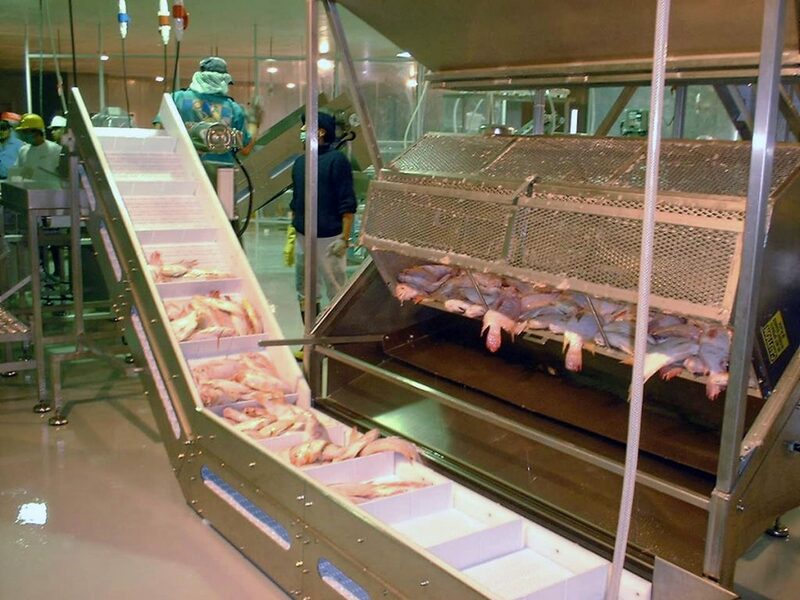 The FSC is designed to continually scale fish as the enter the processing line. The fish are scaled in a rotary drum as they travel though it.